This is the best phone ever to wear the Google brand. Though Google's "Pixel" brand has existed since 2013, generating two Chromebooks and a tablet in that time, Google's announcement of two phones under the Pixel umbrella was its real coming out party. So few have used a Pixel computer or tablet up to this point that the phones will be most people's first interaction with the brand. 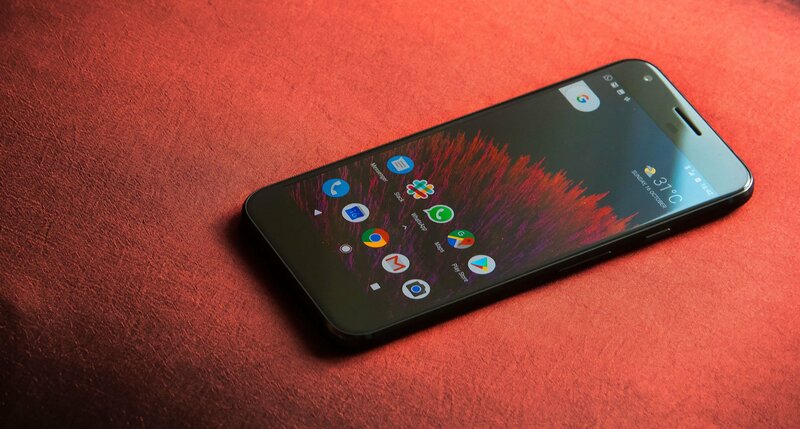 The Pixel name stands for Google's in-house developed hardware designed specifically to leverage its software and services to the fullest, and a phone offers a unique opportunity to take that formula to the fullest with the most personal of devices. The new Pixel and Pixel XL are magnificently built, include high-end specs and put Google's latest software and features on display in meticulous fashion. Wearing no more than the Google "G" logo on the back, they're clearly a separate line from Nexuses of the past — and Google has much larger ambitions for the Pixel phones. They're high-end and for the mass market, particularly in the case of the $769 Pixel XL. In the U.S., the significance of the Pixel and Pixel XL is magnified by Google's renewed confidence in being able to work with Verizon to launch them. After having what could be described as a checkered past working with the U.S. carriers, Google's at it again — doing things both bigger and better than before, with substantial ad spending from itself and Verizon. But no matter how big Google goes with Verizon, there's the feeling that it's going to have to do even more to sell a considerable number of Pixels in the U.S. where a majority still rely on their carrier to sell them a phone. Unlocked availability and band compatibility with the other three major carriers will help some, as will the growing feature list and brand awareness of Project Fi, but does Google have enough happening here to sell tens of millions of Pixels in the U.S.? We're here to discuss just that, and tell you where to Pixel XL fits in the U.S. smartphone world. I (Andrew Martonik) am writing this review after five days using a 32GB "quite black" Pixel XL, on both the Verizon and Project Fi networks in the greater Seattle, WA area. The phone arrived on software NAE63P and was not updated during the review period. The phone was provided to Android Central for review by Google. To wrap everything up and give you a feel for how I feel about the Pixel XL, the best place to start is our full video review of the phone. See what I think about using it, how it looks and feels in a natural setting, and then read on for my entire written review! When you're charging this much for a phone, you have to nail the hardware. We've all heard at this point that HTC is the manufacturer of the new Pixels, but don't let that take anything away from Google's hardware team that designed and implemented everything. The 5.5-inch Pixel XL is absolutely gorgeous, and has the precision build quality to match the looks. And if you've seen any metal phone made by HTC in the past few years you shouldn't be surprised. Yes there are clear hints of the HTC One A9 and HTC 10 here, but the Pixel XL has plenty of its own DNA. It doesn't feel like a copy of an old HTC phone, nor does it look or feel like an iPhone any more than the fact that all modern phones kind of have similar shapes and dimensions. No, it doesn't look or feel like an iPhone. At first glance the design is quite simple, but when you put your hands on it you realize it's a bit more complex. The first thing you notice is the near-full metal build, but there's a wonderful variation in the surfaces. The back is entirely flat, but despite that the phone doesn't feel slippery — that's because you get a curve around to a flat portion on the sides, which then again bevels in to meet the screen glass on the front. The coating on the metal gives it an additional bit of grip without detracting from the fact that it's metal, something that really wasn't handled properly on the Nexus 6P. There's also an extremely subtle and consistent tapering of the body to make the phone thinner at the bottom, which theoretically makes it easier to hold in the place you most often hold it, while also giving a bit more room for the complex tech inside up at the top. At least in the "quite black" color that I have here the Pixel XL is rather unassuming and monolithic, though one big design flourish helps it stand out. A single piece of glass covers roughly the top quarter of the back, housing all of the distracting cutouts and holes, leaving the bottom three-quarters to be clean metal. Aside from when you reach up to touch the fingerprint sensor you'll hardly touch the glass in normal portrait use, but when you do it offers a little extra bit of friction to keep the phone from sliding out of your hand. It's also a magnet for scratches: in the first day I had a gouge in the glass, and a few days in there were several faint lines to be seen when I held it up to the light. This Pixel XL review review is a bit shorter and focuses on where the phone fits in the U.S. market. For the full breakdown of both the Pixel and Pixel XL in extreme detail, be sure to read our complete Pixel XL review from Alex Dobie and Daniel Bader. Quit worrying about the bezels and just enjoy how the Pixel XL feels. Though few people have actually held a Pixel XL at this point, that hasn't stopped the angst from building up over how big the bezels are. But they haven't affected me nearly as much as I would have thought. The side bezels are of an acceptable size, and obviously prevent accidental touches on the screen from your palms. Below the screen the bezel is just fine; I didn't even think about it until I had used the phone for a full day and then set it next to some of the competition. I mostly just noticed how it's a bit easier to hit the navigation buttons at the bottom of the screen without oddly curling my thumb. I think the big thing to remind everyone of here is that that isn't just dead space left hollow underneath the bezel. There are components tightly packed into every square millimeter under the glass. Let's all find something else to complain about that actually matters, okay? I love holding this phone; you can't find a flaw in it. Prior to the Pixels the Nexus line didn't always cover itself in glory when it came to design or materials, save for the likes of the Nexus One and perhaps Nexus 6 and 6P, but the Pixel XL absolutely steps up to the highest level of what you can expect from a phone today. I love holding this phone — it gives off the same exact impression of quality and value that the latest phones from Samsung, HTC and Moto do. For anyone who walks into a Verizon store to see the Pixel XL on display next to the likes of the Galaxy S7 edge, iPhone 7 Plus, LG V20 and Moto Z, the first impression of the Pixel XL is going to be stellar. It just exudes quality in the same way that each of these $700+ phones do, even if it doesn't have as flashy a design as the likes of the Galaxy S7 edge or Moto Z. Nobody will be able to lay a finger on the Pixel XL and find anything unsatisfactory about the execution of the hardware, even if they don't particularly take to the understated design. The feelings are reinforced when you use it a bit longer, noticing things like the extremely sturdy side buttons, strong haptic feedback and powerful (for the size) speaker. Prior to the launch of the Pixel XL, the goal of Nexus phones was always to express Google's vision of what Android should be, often at the cost of letting the hardware slip a little. But even with such an excellent execution of the Pixel XL's hardware, Google didn't make any trade-off in the software side of things. Nice visual tweaks, supported by ridiculously fast performance. Android 7.1 Nougat with the so-called "Google UI" inclusions is masterful in its design. It's clean, simple and powerful at the same time. The new launcher takes a bit of getting used to with its permanent Google Search tab and weather information at the top of the screen, but the swipe-up to reveal the app drawer became second nature almost immediately. The one downside is Google's odd decision to switch to rounded app icons — not only are Google's own icons a hodgepodge of ideas, they absolutely clash with the various sizes and shapes of non-Google icons. It's a weird decision, and unless Google wants to put its foot down and force all apps to follow the shape, I just can't get on board with it. The little visual changes are one thing, but what really makes the Pixel stand out to me is the extreme speed and fluidity of the whole software experience. I'm not sure how much weight can be put behind the Snapdragon 821 processor versus general software optimization, but whatever voodoo Google has managed to get into the Pixel XL really blows me away. Every app opens immediately, multitasking is fluid and not a single app has crashed or hung when it tried to do something. I never noticed a dropped frame, jerky scrolling or received any sign that the hardware was being pushed beyond comfort. It's something that's hard to explain because it's not doing anything as much as it's not doing the bad things we've seen from Android phones for years. The Pixel XL is faster than any Nexus I've used, while being smooth throughout the interface like an HTC 10 or Galaxy S7 edge but of course without the extra burden of additional software cruft and duplicative apps and services. The much-lauded feature of Google Assistant hasn't worked itself into my daily life as much as Google may have hoped. Having it readily accessible behind a long press of the home button or from the excellent recognition of the "OK, Google" trigger phrase has certainly led to an increase in use over my Nexus 6P. The conversational nature of asking a question, getting detailed information and then asking follow-up questions also keeps you more engaged with Assistant than you would have with standard Google Search. But that doesn't mean Assistant is the perfect AI helper we've all dreamed of. You can quickly outsmart Assistant with seemingly simple queries. The first real issue is how quickly you can outsmart Assistant by assuming it can handle some relatively basic tasks. Simple commands like "how's the weather tomorrow? ", "what's coming up on my calendar today? ", "Open the Alaska Airlines app", "turn off Wi-Fi", "remind me to check the mail when I get home" or "show me photos of the Eiffel Tower" all work. But asking it seemingly simple questions like "is my flight home on time? ", "when can I check into my hotel?" or "when does my package arrive?" offers incorrect results or a note of "I can't do that yet." Despite being shown off as a conversational assistant that forms into "your own personal Google," Assistant forgets the context of what you were just talking with it about the moment you leave. Whether that means tapping on a card inside Assistant or hitting the home button to switch to a new app, when you come back to Assistant your interaction starts all over as if you've never spoken before. It's like you hired a personal assistant with amnesia — not a great trait for that line of work. This is miles ahead of Google Voice Search and Now on Tap, but has room to improve. The other issue is being pigeonholed into using just your voice. Though you can trigger Assistant without your voice, it's always going to sit there waiting for your commands audibly. As we know that's not always the best way to interact with our phones in situations when you're with other people, in a loud environment or perhaps a very quiet situation; at the same time, an audible response from Assistant when it answers your query causes problems for the same reason. The one exception here is its replacement for Now on Tap, which lets you launch Assistant when you're in an app and simply swipe up, where you'll get search results with additional information based on what's on your screen — it's amazingly quick, and better than the old system. Assistant is absolutely better than Google Now on Tap for reading your screen and giving you contextual information, and takes less effort to use than Google Now's voice interactions, but its content and answers aren't much more useful than those old features. The smarts behind Assistant can be seamlessly updated in the background on Google's end, and will only get better as more people use Assistant on their Pixels, but right now it hasn't been the big selling point it was hyped to be. On paper a 3450 mAh battery for a 5.5-inch phone is plenty, but after seeing how squarely average battery life is on the Nexus 6P with the same capacity, there certainly wasn't a guarantee that the Pixel XL would be much better. Thankfully the Pixel XL has met my battery life expectations, landing right in the range of other flagships. A regular weekday for me starts a bit before 8 a.m., includes three to four hours of "screen on" time, and mostly focuses on lots of music/podcast listening, tons of emails and messages coming in, a little browsing and light app use, plenty of time spent in the likes of Google Calendar, Google Maps, taking plenty of photos and using a handful of social media apps. I always keep everything fully syncing, and my screen brightness set to automatic. The Pixel XL offers a full day with plenty to spare. This regular day of use hardly taxed the Pixel XL's battery, leaving me with roughly 30% left in the tank at about 10 p.m. when I started to think about heading to bed. On a lighter weekend day where I slept in a little and didn't use the phone as much, I was looking at 50% battery left at the end of the day. Those numbers both line up with the likes of the Galaxy S7 edge, while outperforming the LG V20 (which I'm using on pre-release firmware). It's clear to me that Doze is doing its job here, with incredible longevity when it's resting but also while in my pocket or bag as I walk around the city. When the screen is off, the Pixel XL really just sips power, and that's the result we were all promised when new improvements to Doze were announced in Android 7.0. In terms of charging back up, the Pixel XL isn't much different than the Nexus 6P. The USB-C charger in the box is slightly different and supports USB-C "Power Delivery" for quicker, adaptive charging; that lets Google tout the "seven hours of usage in 15 minutes" metric. The phone charges very quickly when it's at a lower battery level, but it also keeps up a solid clip when it's at 40% charge and higher, charging at about 1 percentage point per minute. It's also worth noting that the Pixel XL played nicely with my Pixel C as well, letting me charge the phone off the tablet at "Charging on AC" speeds. With the Nexus 6P last year we got a glimpse of what Google was working on when it came to camera technology. A 12-megapixel image sensor that lacked OIS (optical image stabilization) but instead used very large pixels and lots of software processing to take really good photos. The same formula is in play a year on with the Pixel XL, but component changes and dramatically improved execution make all the difference. Giving the Pixel XL an advantage right from the start is the new version of the "same" Sony image sensor, which is still 12MP and has 1.55-micron pixels, but has new features as well: native phase-detect auto focus, a stacked BSI CMOS design, improved on-sensor HDR and higher frame rate support. The results absolutely speak for themselves. Leaving the camera in Auto HDR+ for the entirety of my shooting, the Pixel XL handled every scene just about perfectly. Photos are natural with just the right amount of punch, and even in extreme low-light conditions I rarely saw any grain or blur. All of the photos had sharp lines and quality colors. I quickly got in the habit of just taking one photo and pocketing the phone, not being worried about whether it "turned out" or not — confidence in the consistency like that is wonderful. Who needs OIS when the photos look this good without it? But just as I covered in the general software section, what really makes the camera experience come together is its blistering speed. The camera launches near-instantly to let you start taking photos, and with every tap of the shutter key you immediately take a photo — no capture lag, no on-screen processing or hiccups. You can press and hold the shutter key for dozens of simultaneous photos, and the camera will automatically process them into animated .gifs and collages while also picking out what it deems to be the "best" photos. Not only does the Pixel XL's camera put even the likes of the Nexus 6P to shame, it runs right alongside — or ahead of — the Galaxy S7 edge and LG V20 in terms of photo quality and usability. Google has an odd relationship with the U.S. carriers, starting with the failed attempt to launch the Nexus One with carrier support back in 2009. We also had the Nexus S 4G on Sprint, the Galaxy Nexus on Verizon, the Nexus 5 kind of available on T-Mobile, the Nexus 6 on AT&T and so on. Nope, Google hasn't done well with this — but the Pixel XL is available from Verizon, and promises are that things are different this time around. It's not that buying from Verizon is bad per se ... there's just little reason to so. Unlike many previous Nexuses, the Pixel XL isn't dramatically modified for its availability on Verizon. Instead, there are just a few simple changes, including three Verizon apps, an encrypted bootloader and perhaps most importantly Verizon's certification in order for software updates to hit the phone. The apps can be uninstalled and most people don't care about an encrypted bootloader, but the potential for Verizon to slow down updates will rub people the wrong way. Verizon claims its updates will hit at the same time as Google's arrive on the unlocked Pixel XL, but we've seen enough updates delayed in the past to be skeptical of that situation. It's because of this that I don't recommend you buy a Pixel XL from Verizon, and instead buy from the Google Store — it'll have Google's direct support, no carrier involvement and yet still supports advanced features like VoLTE and Wi-Fi calling if you choose to put a Verizon SIM in it. With that being said I think it's generally great that the Pixel XL is available from Verizon from the standpoint of getting the Pixel XL out in front of "normal" customers who wouldn't ever order from the Google Store. The Pixel XL is on the front page of Verizon's website, will be in every retail store and on TV commercials with Verizon's branding. That's big, and it's being done this year in a way that isn't going to bastardize the experience the way past carrier-involved Nexuses were. Project Fi won't save you much money, but it'll save you from headaches. Putting all of this talk about Verizon aside, we shouldn't forget about Google's own carrier Project Fi. Well over a year into its life and with the addition of a new "group plan" structure Project Fi isn't much of a project anymore — it's a carrier I'd personally recommend to just about anyone going to pick up a Pixel XL today. Google has pulled Project Fi up front-and-center with the option to include a Fi SIM in the box with every Pixel order, and the Project Fi app is pre-installed on the phones as well. Yes I know there are still reasons to go with a "traditional" carrier in the U.S., but I still encourage everyone to at least consider what they could be getting from Fi. You honestly won't likely save a bunch of money on a monthly basis, but what you get for that cash is what's important. Simplicity of billing, great service, slick international use and the knowledge that you'll never pay for data you don't use are powerful features for a carrier to offer. No matter what carrier you intend to use, Google has made a fantastic decision to start offering financing from the Google Store for the Pixel and Pixel XL. The U.S. market has very much shifted away from buying phones on contracts, but it surely hasn't started paying for phones full price up front. In a shrewd move, the Google Store offers 24-month interest-free financing just the same as the likes of HTC and Moto have done, of course in addition to the carriers, to help lessen the blow of these high-priced Pixels. Yes there's absolutely sticker shock for the Pixel XL, especially if you load it up with 128GB of storage and add insurance and are looking at a bill north of $1000 after sales tax. But the 32GB Pixel XL starts at "just" $32 per month if you finance it ... a system and monthly payment that anyone who has bought a phone from a carrier in the past year knows very well and has accepted as the new normal. The best smartphones are those that don't lean on a single feature or headline-grabbing spec to try and sell, but instead offer a great overall experience with several features that combine to be excellent every single day. This is the best way to explain why the Pixel XL is so great. The Pixel XL gets the core smartphone experience dead-on, and then adds a little extra. The hardware is fantastic the moment you pick it up, but you also retain that feeling a week on. The camera takes excellent photos every single time you touch the shutter key. The software is blisteringly fast and never lets up. Google's apps and services are top notch, and the Pixel-only perks of 24/7 support and unlimited Google Photos backup are a little extra treat. The Pixel stands out in all of these areas, while checking off other boxes like a bright screen, solid battery life, better-than-average speaker, a great fingerprint sensor and guaranteed software updates. There's no doubt in my mind that the Pixel XL is a fantastic phone from top to bottom, with very few compromises or shortcomings to be pointed out — I think waterproofing is all you can realistically desire. It's not so often that we say it, but the Pixel XL's best feature is simply being a great smartphone. It doesn't rely on a ton of gimmicks or weird features that you'll use one day and then forget about. It gets the core of the smartphone experience dead-on, and then adds to it several great features that surprise, delight and enhance your time using your phone. If you think any phone is worth $769, the Pixel XL absolutely is. The only real issue, as ever, is how much you have to pay. The Pixel XL starts at $769 unlocked, plus an extra $100 if you want 128GB of storage or additional insurance, and even when you're financing that over a longer period of time that's still a big price to stomach. That price knocks a large chunk of the market out of contention, and Google knows that — but it also couldn't make this level of phone and sell it for $399, either. The way I view the situation is this: if you're someone who has historically determined that flagship phones are worth $650 or more, and in 2016 are of the mind that the competition of the Galaxy S7 edge, Moto Z, LG V20 and iPhone 7 Plus are worth that kind of money, then the Pixel XL is absolutely worth it as well. The Pixel XL does what these phones do, executes it better in many ways and exceeds expectations in key areas of software performance, hardware quality and camera prowess. It's simply the best Android phone available today.